Some of the best, and most fun, power pop ever produced came courtesy of The Go-Go's. 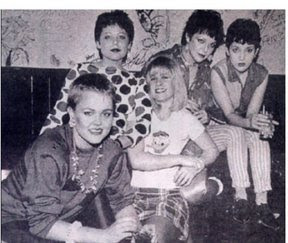 Starting out as a punk band in the late 70s, formed by Belinda Carlisle and Jane Wiedlen (both of whom had interacted --not really played-- with other punk bands), the band moved quickly towards a power pop/new wave style rather than a hard punk sort of sound. And it paid off. Their first album, Beauty & The Beat is still a huge achievement, mostly because it represented the first album by women who played their own instruments, and wrote and sang their own songs. While the album went to #1, their most famous single "Our Lips Are Sealed" barely broke the top 20. The song was co-written by Wiedlen and The Specials' Terry Hall -- his later group Fun Boy Three had their own UK hit with the song. Interestingly, the Go-Go's had friendly relations with both The Specials and Madness, and at times you can hear a bit of ska creeping into their own sound. The Go-Go's had an interesting career. Their sound was pure power pop and appealed to the not-so in crowd of the late 70s and early 80s. At the same time, the band knew how to position itself and tweak their sound to appeal to the in-crowd of the late 70s and early 80s. Thus you have an all girl group that played with The Germs and X at the Whiskey, and yet were topping the mainstream music charts a few months later. 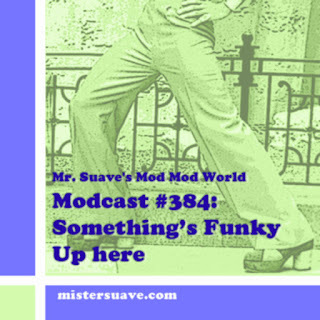 They covered the whole spectrum of cool music, from surf such as "Surfing and Spying" to sixties beat "Cool Jerk", to pop punk like "Johnny Are You Queer Boy", "Skidmarks on My Heart", "This Town", and the song here "How Much More".